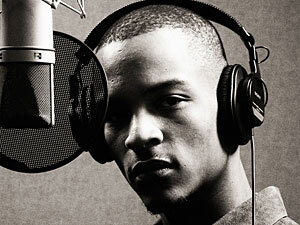 NPR, the venerable public broadcaster, appears to have a bit of a thing for T.I. The article is a bit of a joke, though it does contain a couple of good nuggets. When Jay-Z speaks, the rap world listens. So when, around the turn of the decade, he began publicizing that neither he nor his late friend The Notorious B.I.G. wrote their rhymes on paper, many rappers followed suit. Tattered notepads turned obsolete, as many artists instead began committing raps to memory or constructing them off the cuff in the studio, one line at a time. This is something I’ve never even thought of, let alone heard of. I had no idea that that many rappers didn’t actually write their rhymes down. Then again, a bunch of today’s stars don’t write their own rhymes to begin with, so maybe this is a non-issue. I’m not entirely sure why they think T.I is so amazing, especially considering how many crazy lyracists inhabit this realm, but I think he’s well regarded because he’s one of a few popular emcees who does take the time to write their own rhymes. Lil Wayne, for example, does not. Jay-Z, also loves having ghostwriters. Check out the whole T.I. lovefest here.